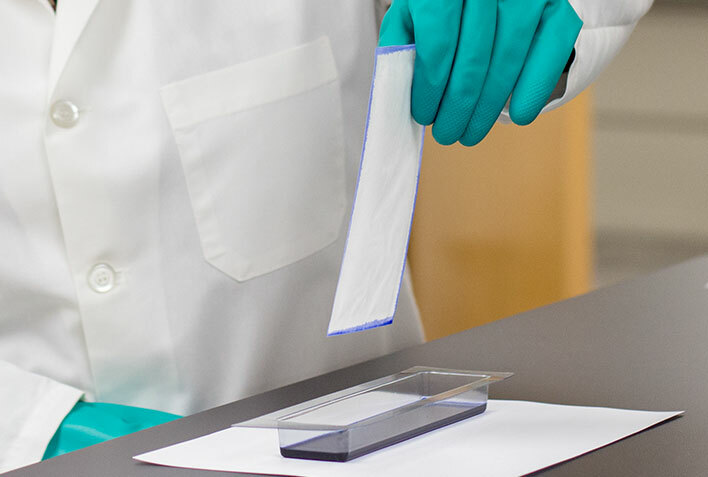 Our industry standard test method videos demonstrate testing your packaging for leaky or improper seals. Contact our Answer Team for additional assistance. Another approach is the “Edge Dip” seal integrity method. 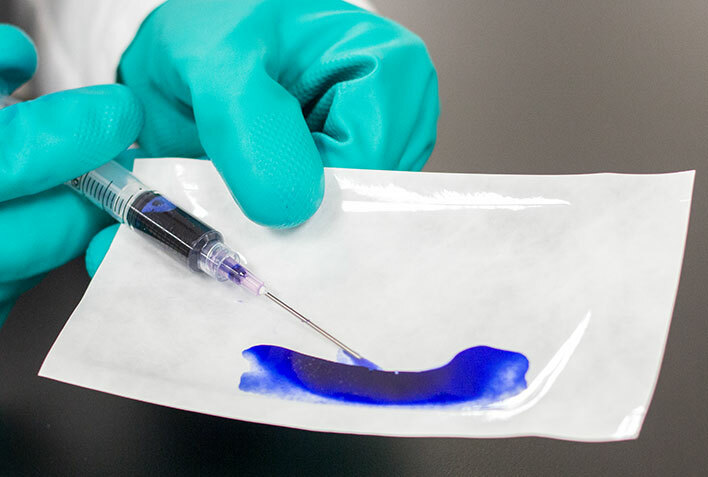 A section of sealed material is dipped into dye. No needle or syringe is needed. Only a minimum amount of dye is needed to initiate capillary action. 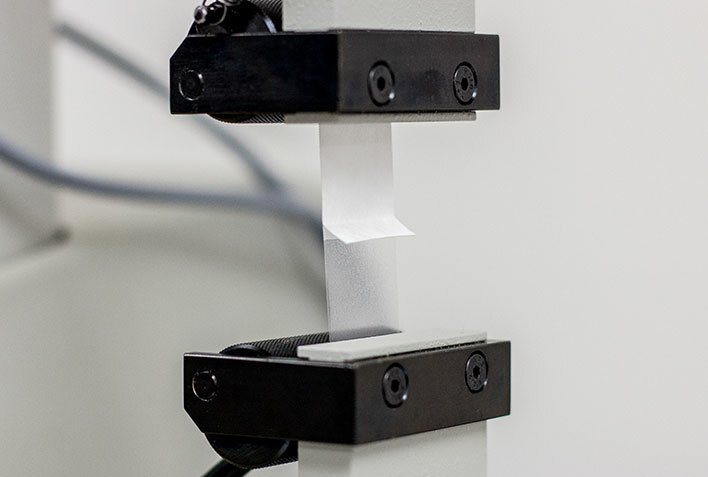 Peel strength testing determines the bond strength of two joining surfaces (e.g., dot-coated lid sealed to thermoformed tray flange), while burst testing provides a value that demonstrates whole package strength with a failure commonly occurring in the weakest part of the seal. Although both test methods produce strength characteristics of a package and/or seal, there is no mathematical correlation for calculating value comparisons of seal and burst strength values. Both of the test methods play an equally important role in the evaluation of medical packages. 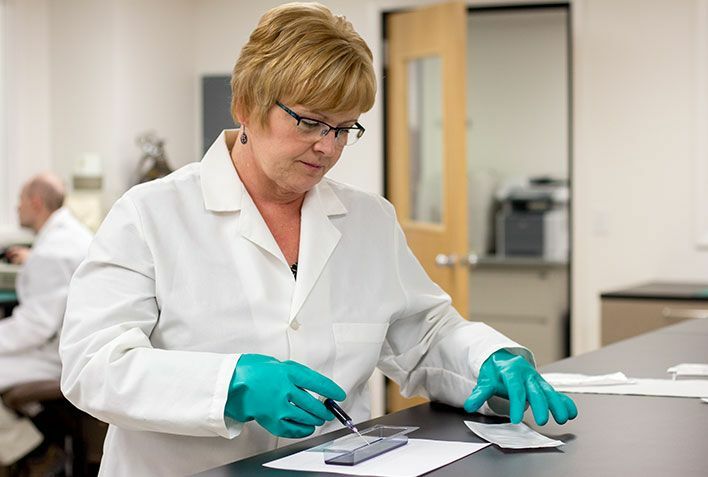 Extensive research and Strength and Integrity, Part Two: Basics of Seal-Strength Testing compares both test methods.